But in light of this weekend’s events, maybe we should. On Saturday, tempers flared at Target Field between the Detroit Tigers and the Minnesota Twins. 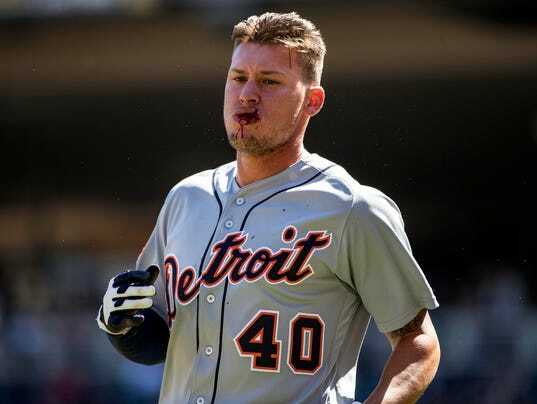 In the third inning, Jacoby Jones was hit in the mouth by a pitch from Twins pitcher Justin Haley. The results weren’t pretty, but the pitch looked like a genuine accident. Jones was put on the 10-Day DL after taking a pitch to the face, but avoided serious damage to his jaw. Two innings later, Tigers starting pitcher Matt Boyd retaliated, throwing a fastball behind Miguel Sano. Sano approached the mound angrily, before getting cut off by Tigers catcher James McCann and the home plate umpire. Both benches cleared in the fracas, but no further violence occurred. Both Boyd and Sano were ejected from the game. On Sunday, the slow-simmering Red Sox-Orioles series finally boiled over in the form of Matt Barnes. Earlier in the series, Manny Machado slid into second base and spiked Red Sox 2B Dustin Pedroia. Pedroia left the game, and is still considered day-to-day. Machado showed clear remorse the instant the incident happened, and when no retaliation came Saturday, it seemed both teams would move on. In the bottom of the 8th inning, Red Sox reliever Matt Barnes came on with a 6-0, and Machado at the plate. The catcher flashed the leather down and away. Barnes unleashed a fastball than went high and inside, beaning Machado on the side of the helmet. Barnes was ejected, and later received a four-game suspension. Pedroia and Machado had an exchange on the field just after the incident, where Pedroia adamantly stated that he wasn’t responsible for ordering the retaliation, a stance he reiterated after the game. Baseball has always been a self-policing game, as Pedroia lays out in that quote above. If you make a dirty play, expect to get plunked the next time you come up to bat. That won’t, and shouldn’t change, especially with umpires showing so little compunction to punish bad slides like the one Machado had on Friday. That being said, in a sports world constantly concerned with injuries–particularly head injuries–attitudes towards playing bean-ball are growing more and more pessimistic. More and more umpires are ejecting players early to prevent instances of retaliation from getting out of hand. For a solution to the unwritten-rules conundrum, MLB should look to the NHL. I know, a weird proposition, but hear me out. 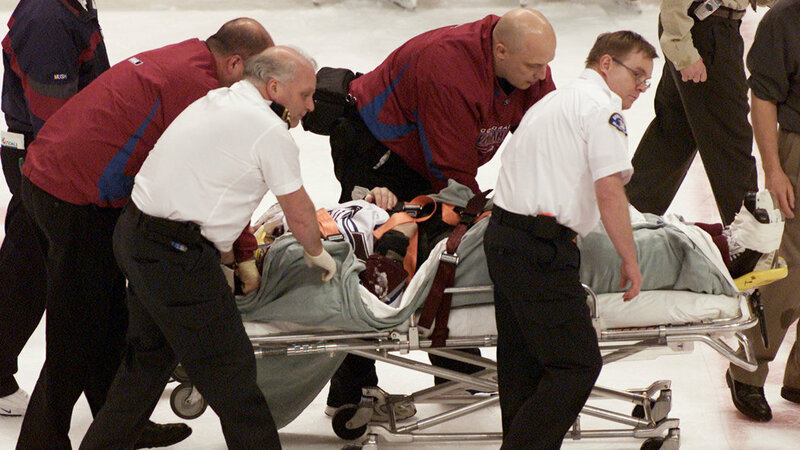 After an incident of retaliation went too far in 2004 when Vancouver Canucks forward Todd Bertuzzi sucker-punched Colorado Avalanche center Steve Moore, ending Moore’s career. Bertuzzi was suspended for the remainder of the season–which turned out to be twenty games–but since that incident, the NHL has been more persistent in punishing illegal hits and dirty plays. In doing so, they’ve removed the necessity for retaliation. If the player committing the dirty play has already been ejected or suspended, why put yourself in more risk by going after them again? Since the ’04 season, the NHL has seen a marked decrease in the number of fights, which–like it or not–is necessary in the modern sports world. If MLB is serious about addressing problems of retaliation in baseball, they need to do something similar. Impose more stringent punishments on dirty plays to prevent the need for retaliation, and increase suspensions for players like Matt Barnes who take the “unwritten rules” too far. And do it fast — before we’re talking about those unwritten rules ending players’ careers. Next Post: An Update on The Great Ohio Ballpark Tour!